Healing my autoimmune disease, Ulcerative Colitis, has been the most significant part of my physical healing. But second to that is healing my periods. I didn’t get my period until I was 17, due to the extreme nutrient deficiencies caused by anorexia at age 12, and then my autoimmune disease. Until that age, I felt like I was missing out on a sacred experience of womanhood. But then I learned what I was missing out on: a fresh hell every 28 days. Or 22 days. Or 35 days. I could never predict my cycle, because it was so irregular. I’ve spent the last week dreading the start of my period. Because it is irregular, I don’t know when it will arrive. It feels like I don’t have enough days of the month without pain or bleeding. A couple of days before my cycle starts, welty cystic acne starts erupting on my face. Occasionally, I have to sleep on my back because the pressure from my pillow hurts my face. I feel exhausted and cranky. I try to do my normal physical activities, such as dance class, which leads me to feel miserable about myself. I can’t balance or turn, because my equilibrium is off, and my legs feel heavy as lead. I feel a reduced tolerance for what’s not working in my life. But instead of using this for my benefit (which I’ll discuss momentarily) I feel angry and victimized by life. A migraine hits my uterus. I lay on the couch with a heating pack, curled in a fetal position. I cannot keep any appointments, as I am too debilitated to drive or hold a coherent conversation. I also experience extremely heavy bleeding for the first two days of my cycle. I change my tampon every couple of hours. Further, I think the world is ending because I’ve gained a few pounds and I’m bloated. My weight fluctuation causes me extreme emotional distress, which is only compounded by my irritability. Now, I’ve learned how to honor my cycle instead of fight my cycle. My body was never sabotaging me through painful symptoms, but guiding me to honor her rhythms. Now, my cycle looks like this. I know when to expect my period, because my cycle has become regular. Further, I feel like a moon goddess because my cycle tends to sync with the moon’s rhythms. You can use a simple night lighting technique to help facilitate this shift. I rarely experience painful or disruptive PMS symptoms, although I still tend towards a few pimples and the occasional cyst which I treat with my holy grail Enessa Acne Treatment. I’ve stopped expecting my skin to be perfect at any time, especially around my period… giving myself a break from perfection helps. 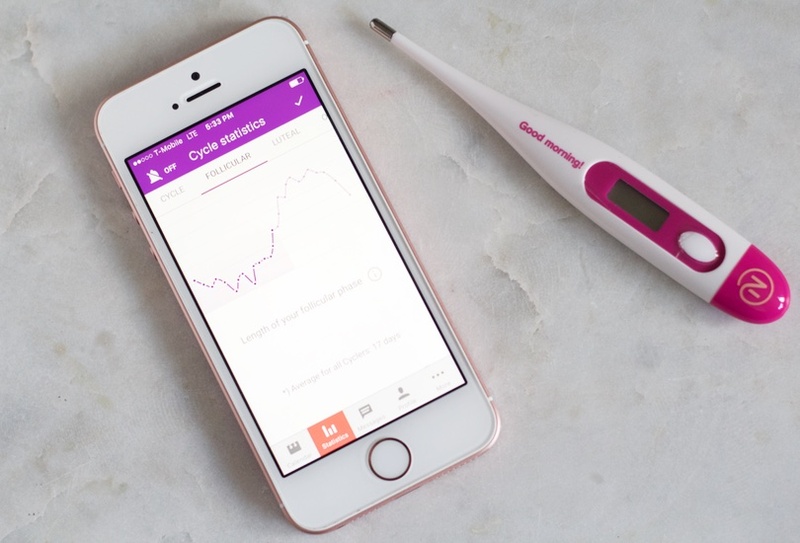 I use my Natural Cycles app, which I discuss in this post to track my period. I take my temperature in the morning, input it into the app, and I can see my projected cycle dates. This app can also function as birth control if your cycles are relatively regular. In fact, it’s as effective as the pill when used correctly and unlike hormonal birth control, it won’t cause nutrient deficiencies, depression, weight gain or other common side effects. I also remember to eat my raw carrot a day. It’s a simple food-as-medicine routine that actually works. Carrots contain a special fiber that helps detox excess estrogen, the hormone responsible for painful periods. In addition, I do bi-monthly acupuncture appointments which help me balance and regulate my cycles. A huge factor in my improved periods is a grain and dairy free diet, which I initially began to address my autoimmune disease. This way of eating doesn’t feel restrictive or limited, because it’s how I want to eat. I am in tune with my body now, and want to eat food that is good for me. 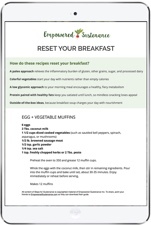 I outline a helpful nutrition principles for healing PMS in my ebook Quit PMS. I notice fatigue, and spend my day gently. I know my body is doing important work, preparing to physically and energetically let go of what is not serving me. 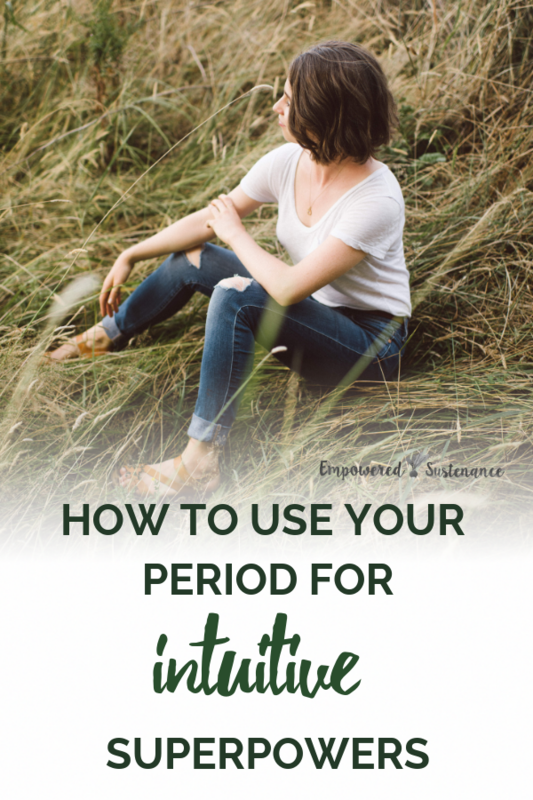 The menstrual cycle is more than just releasing blood, it facilitates the release of emotions and heightens intuition. Ancient cultures knew this, which is why women took time apart from the community during menstruation. Our ancestors knew that the menstrual cycle impacts women’s emotional sensitivity and psychic awareness. As I began to tune into the rhythms of my cycle, I noticed that I did significant emotional processing near the onset of my period. I realized that I wasn’t experiencing mere irritability, brushed off by our culture as “PMS mood swings.” I was noticing what wasn’t working in my life and what needed to change. I felt drawn to inward processes like journaling, and would reach new aspects of clarity about my life. Modern science, as is so often the case, lags behind ancient wisdom but offers some insight. In her book Awakening Intuition, author Mona Lisa Schulz discusses how the right hemisphere of the brain receives intuitive information. After premenstrually (after ovulation) a woman’s right hemisphere becomes more language-oriented, and she notices more negative feeling words like grief, sadness, and depression. Schulz theorizes that premenstrually our brains are primed to focus on what’s not working in our life, bringing the focus onto what we need to eliminate and release. Now that my period is regular, I literally schedule my life around it. I typically avoid scheduling anything on the day of my period, unless it is a self-care appointment such as acupuncture or a massage. I skip any physical activity, because I usually feel heavy and slow. I also feel a craving for extreme introversion. I am satisfied going the whole day without any human interaction. Some people might call me lazy, self-indulgent, or ridiculous to spend a whole day each month taking care of my body in this way. But one reason I’m so free and happy in my life is because hard life experiences taught me to care more about what I think of myself, and less about what others think. Now, I experience very little pain or cramping on my period. If I am cramping, I use an herbal tincture called Cramp Bark. If the pain still persists, I’ll take a couple Advil. Yes, it’s not the ideal health-blogger solution. But sometimes, an Advil is fine. I also honor my food cravings. After diligently following a restricted diet that allowed me to heal my autoimmune disease, I now follow more intuitive eating. I always crave chocolate on my period, so I give myself chocolate. I am hungrier, so I eat more food. I don’t weigh myself anymore, because that’s an unnecessary mindf*ck. But I do notice that I’m heavier around my period. As I’ve done with my skin, I’ve changed the way I think about my weight. I allow my weight to fluctuate because it’s a body, not a machine. Finally, I realized these days always coincided with the day prior, or the day of, my period. I believe it has to do with how premenstrual hormone levels impact the brain, perhaps heightening intuitive function but at the same time decreasing analytical ability. I orient my work decisions around my cycle. I hold off on the logical choices and collaborations the day before, and day of, my period. Instead, I use this time to allow intuitive consideration of my work. As a last note, I now use a menstrual cup instead of pads and tampons. No leaks, clean sheets at night, and it’s toxin-free. It also carries a lighter ecological burden. I review menstrual cup options here. Did you notice what I didn’t do? I did not find a magic pill that allowed me to live my life without the disruption of my period. Instead, I chose to orient my life around my cycle. This is the essence of trusting your body. It means you make things easier for yourself and stop fighting your body. It means you stop trying to make your body conform to your life, and you let your body inform how you live your life. Our bodies know how to heal us, and will do so… if we get out of the way. Aligning to your period is one way to let your body heal you. If you work with your body, then you experience how your body is here to help you. But if you work against your body, then it feels like your body is out to get you. Do you want to live in alignment with your body’s rhythms and elevate your intuition? Then my How To Trust Your Body program could be a great fit for you. In this four week program, I share video lessons and simple techniques to access your intuition. When you trust your body, you come home to your body. You make courageous and effective decisions in your health, relationships, and work. I created the How To Trust Your Body Program to help you have a relationship with your body that makes you powerful and brave. If you’re interested in this program, sign up for my free video series below. You’ll learn three truths your body is longing to tell you. Orthorexia: Is healthy eating an eating disorder? I love this post, Lauren! I’ve always struggled with heavy periods also (thankfully regular cycles at least), and realize that I am always tired and sluggish. As a typical woman, I try to plow through it and keep going. 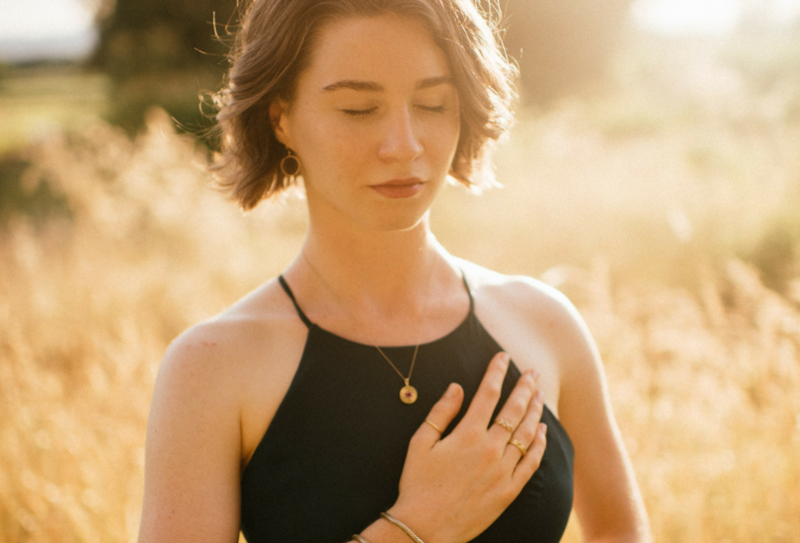 But your words have resonated with me, and I should honor what my body is telling me-to slow down and rest, allow myself to be more in tune with my intuition. I’m glad to hear this resonated with you! Recently, quite by accident, I found out that rose tea is amazing for menstrual cramps. Now I’ve replaced my extremely necessary once a month advil binge with 1 cup a day, the day I start my cycle, and the two days before. It works like a charm and I’m really happy to be able to pass it on. For anyone interested it’s 1 cup boiled water to 2 tbsp. lose leaf rose, steeped for 20-30 minutes. Thanks for sharing your experience, I was not aware rose tea could help menstrual cramps. Really well said Lauren, our society conditions us to “just get on with it”, not allowing us to really be in tune with our body! Parts of your story really resonate with me and I too have found the cramping pains have eased right off now that I have made major diet changes, one of the most profound being off sugar and refined carbohydrates, this pulls our hormones out of whack. I’m glad to hear dietary changes have been so helpful to you as well. Sugar and refined carbs are a major hormone disruptor. Normally, I would heed your advice; however, after experiencing how Max Living or Indy Family Chiropractic changed my life, I would rather do th latter. I had a needed blood transfusion in February. I was 3 points from brain damage. Drs wanted me to have a hysterctomy. One Sunday morning, I heard Dr Nick Wilson on the radiio on the way to church and he said all disease comes from the spine if it’s misaligned. They use a procedure invented by NASA which shows how your spine’s misalignment is pinching the very nerves that are causing your health issues. I began having adjustments 3 times/week, then 2, and now once/week. I canceled my surgery. I am free of migraines, heart skips, and ear issues. My spine has improved tremendously and have a lot of energy. They go far beyond normal chiropractic care and I highly recommend them. Max Living is located in many cities. 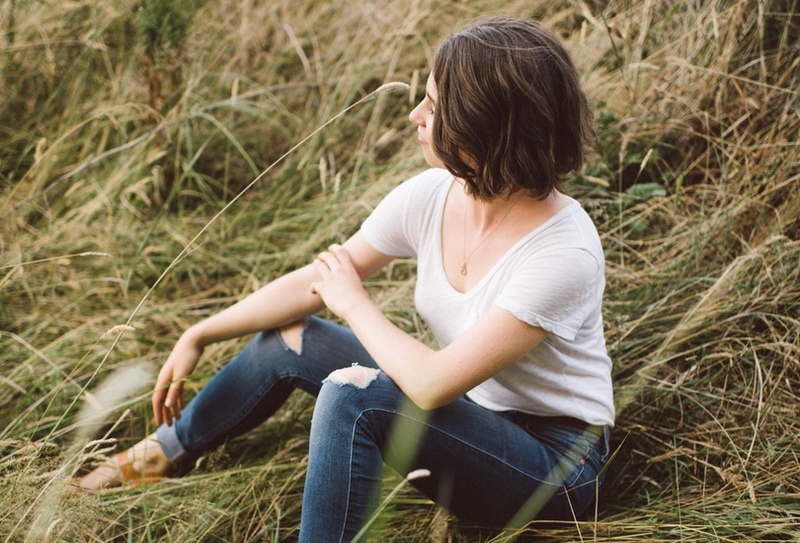 Lauren, I recommend Katy Bowman’s “Down There for Women” and all of her other work too, especially her podcast. You’d love it. I guess for many women period pain is a biomechanical problem as much as if not more so than a biochemical one, and many women’s period pain disappears when they lengthen their posterior muscles. I enjoy following your journey. Cheers! Thank you for the recommendation, I’ll check out her podcast! I’m slightly familiar with her work but I did’t know about her biomechanical perspective on period pain. Do you use a specific type of acupuncture?